Run Your Tail Off – Copyright © 2019-2025 Glenn Amateur Radio Society. All rights reserved. 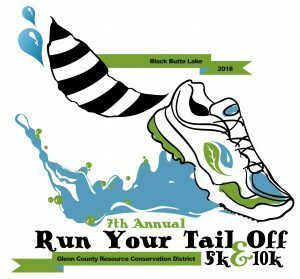 Amateur radio communications operators needed for the 2019 Run Your Tail Off 5K/10K fundraiser event. This event is a “Connects With Kids” project of the Glenn County Resource Conversation District (RCD). WHAT: Race a 5K/10K with your family and friends…Run-Walk on a challenging Trail! WHERE: Buckhorn Recreation Area at Black Butte Lake (west of Orland, follow Highway 32 West and cross over I-5 for about 8 miles). Course is on dirt Trails and begins at Buckhorn Boat Launch Area.